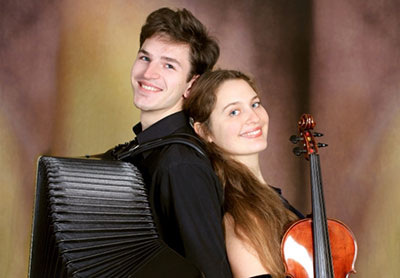 The Franciscan Guest House welcomes “Tutto a Dio”, a viola and accordion duo from Lithuanian. The performers, Greta Staponkute (viola) and Augustinas Rakauskas (viola) have perform around the world in competitions, recitals and concerts. 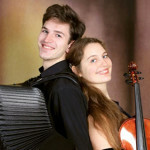 A versatile duo, they perform a variety of genres including baroque, classical and even tango nuevo. This entry was posted in Concerts and tagged accordion, concert, duo, tutto a dio, viola by admin. Bookmark the permalink.